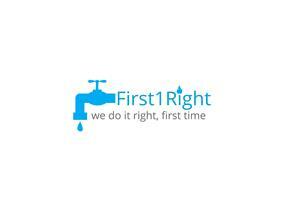 First1Right Plumbing & Heating - Plumber based in Pirbright, Surrey. At First1Right Plumbing & Heating we believe that customer service should not be a department, it should be the entire company. That's why we constantly evolve in what we do to ensure that we always add value for our customers. After working in some of London's biggest and most prestigious plumbing and heating companies for almost a decade I decided to break away and set up a company that could offer the same exceptional workmanship at a better price to the customer while focussing on a bespoke customer service experience that is unique to so few companies these days. With over 20 years’ experience in the industry we at First1Right Plumbing & Heating know that no job is ever exactly the same and neither are two customers. That's why we tailor make our appointments, quotations and jobs around each individual customer so that you always feel taken care of and your home or business is always looked after at a time that suits you. Chelsea, Fulham, Balham, Wandsworth, Putney, Wimbledon, Battersea, Tooting, Brixton, Clapham, Richmond, Haslemere, Farnham, Woking, Guildford, Chobham, Cobham, Horsley Twickenham London and Surrey.